“They’ve seen their own friends and family members shot. This is the reality for them,” Rajan Patel narrates a realization he had on the lives of his students. And according to him, it’s stories like this that he wants to change. Rajan Patel, Ph.D. is currently a senior director of engineering at Google, who has also become an inspiring figure of leadership and social impact. He was spearheading the 2016 Social Innovation Fellow at that time, it was an entrepreneurial and design thinking program. The intensive initiative worked towards developing a sense of urgency among at-risk youths. Patel was driving the kids when one of the teens, named Taz, had his eyes hooked and secured on his phone screen. It was an Instagram post declaring that someone had already killed one of his friends. With the help of Patel’s programs, Taz was able to establish his own organization, ‘Youth Leading Youth,’ pursuing to provide mentorship, instruction, and direction. He’s also devoting great efforts to reopen the recreation center around his neighborhood. If only they hadn’t closed it, his friend might have been shooting hoops instead of getting shot, Taz told Patel. From the time he was a child, Patel planned to be a doctor. But as a pre-med student at Stanford, he took engineering and design-thinking classes that changed his career path. He eventually received an MBA from Stanford GSB and an MPA from Harvard Kennedy School in the year 2016. That year, Stanford GSB awarded him the Social Innovation Fellowship, which provides up to $180,000 to help fund those who want to start a nonprofit enterprise. “My plan was to use the money to start an education nonprofit in India to teach design thinking,” he explains that he wanted to share to the Indian youth the same gifts that Stanford had granted him. Patel, with his close friend Jackie Bello, launched their nonprofit, Dent Education. The two pioneers built the curriculum on three pillars: design thinking, making, and entrepreneurship. After some time, Dent has partnered with a local maker space, The Foundery, a learning space for students to learn different fabrication skills. “As participants learn to make things and solve real problems in their communities, they feel empowered and realize they can be producers and agents of change,” Patel says. Patel has also won numerous awards, including The Economist Social Innovation Award, Top Innovation from the World Health Organization (WHO), and the McKinsey Social Innovation Award. 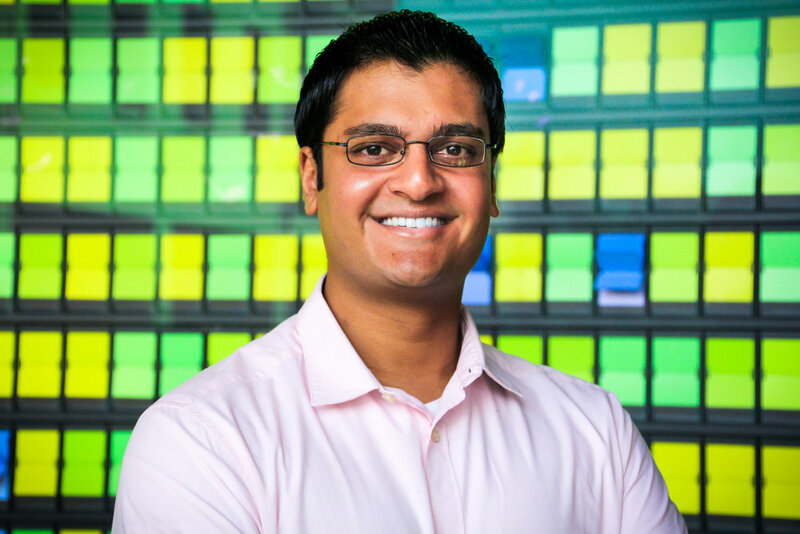 Today, Rajan is passionate about empowering other inventors and problem solvers of tomorrow. He trained at Stanford d.school to become a teacher of design thinking and has organized and led over 20 programs of his own across six countries. Rajan holds a BS and MBA from Stanford, and an MPA from Harvard.. In addition to this, he was also one of the speakers in the recent Global Change Agent Program held in May 2018. Organized by Center of Asia Leadership, the program tackled five different leadership topics, including Patel’s ‘Leading Innovation by Design’.